Shreekumar Varma is a maverick of sorts — a writer, teacher and columnist. His novels, “Lament of Mohini” and “Maria’s Room”, were long listed for the Crossword prize and the inaugural Man Asian Literary prize respectively. His latest book for children, “The Magic Store of Nu-Cham-Vu,” is an adventure set against a magical backdrop. The author says “The Magic Store of Nu-Cham-Vu” is the story of this obnoxious creature Nu-Cham-Vu, who runs a toy store in a small village. It’s a magic store and offers a wide range of goodies and magical items. Nu-Cham-Vu is rude to everyone — the children who visit the store and their parents. “The villagers decide to throw him out of the village, much to the shock and dismay of the children who love the store. 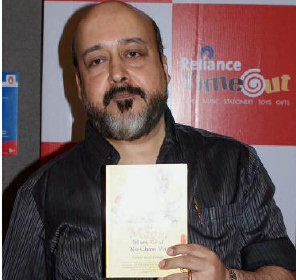 He adds, “Very few Indian authors have explored the realm of writing novels based on fantasy. The popularity of the Harry Potter series is proof of the huge reader base the genre has. 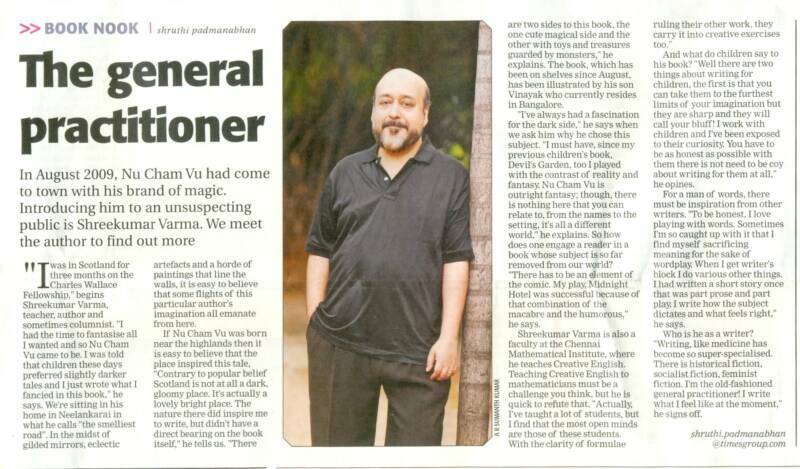 “The Magic Store of Nu-Cham-Vu” published by Penguin is priced at Rs.175 and is available at stores across the country.